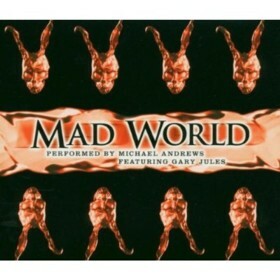 Mad World is a song by Gary Jules and Michael Andrews in the Pop genre. It was released in 2000 by the Sanctuary label. The artist's official site can be found at www.garyjules.com. I've loved this song ever since I first heard it during the trailer for Gears of War. The trailer is what sold me on buying the game, so I guess the people over at Microsoft/Epic Games owe Gary Jules a debt of gratitude. He truly has an amazing voice and helped set the tone for Gears of War perfectly. I just wish the song was actually featured in the game itself and not only in the trailer. What an amazing song this is by Gary Jules. The lyrics of this song are sad and haunting, but still enjoyable. The music is astounding and contains the best melody/beat I have ever heard. I agree with the other review 100%. Awesome! Love this song. I first heard this song in the Gears of War trailer for Xbox 360 and kept humming it for days. Later found out it was originally recorded by Tears for Fears in the 80s. I recently saw Tears for Fears at a concert and they performed both versions of the song. The entire audience stood up and cheered. Love the new version of the song.